Subsidy and state aid issues are usually quite complex, requiring a high level of expertise and in-depth knowledge from advisors. Coherent and complex state aid legislation in the EU has been developed over the last 60 years and the respective rules of the World Trade Organization (WTO) on provision of subsidies over the course of decades. Unlike the EU and WTO, the current state of affairs in Ukraine related to granting state aid may be characterized by the word “chaos”. To change this situation and to ensure transparent public money spending, in 2017 the Ukrainian state aid system shall be launched and is expected to function on the same footing as the European one. What are the Recent Developments in WTO and the EU? In the sphere of illegal public subsidies there were 2 landmark rulings in 2016 by the Dispute Settlement Body (DSB) of the WTO, which deserve attention. Given that Ukraine is a global player on the aviation market, such cases are especially interesting. On 22 September 2016, the WTO DSB issued a compliance panel report according to which the EU failed to stop unfair government subsidies to French aircraft producer Airbus despite previous rulings by the DSB to withdraw illegal support from the Government. The DSB also found that Airbus had received new illegal subsidies for the A350 aircraft, which are reported to be nearly USD 5 billion. In total, Airbus has received nearly USD 22 billion in subsidized financing. On 13 October 2016, the EU notified the WTO DSB of its decision to appeal against certain issues of law and legal interpretations developed by the compliance panel. On 28 November 2016 the WTO DSB confirmed in its report that the US tax exemptions granted until 2040 to Boeing for production of the Boeing 777X are incompatible with WTO law. In addition, by making these tax benefits dependent on the use of domestically produced wings, the USA also discriminated against foreign producers. The total amount of illegal subsidies could reach USD 5.7 billion. Recently state aid issues became increasingly important for beneficiaries and providers of state aid also at EU level. We all heard about such high-profile and complex cases as Starbucks, Fiat, construction of a new nuclear plant at Hinkley Point in the UK, creation of movie studio Ciudad de la Luz in Spain, etc. However, the recent state aid probes by the European Commission (EC) completed in 2016 were landmark ones and, to some extent, revolutionary. At the beginning of 2016 the EC concluded that a Belgian “Excess Profit” tax scheme was illegal and demanded recovery of about EUR 700 million from around 35 well-known international groups of companies. The scheme allowed its beneficiaries on the basis of tax rulings to reduce corporate profit tax in the range from 50%-90%. Given that the scheme benefited only certain companies and violated the arm`s length principle, the EC declared it illegal. The EU state aid rules require that incompatible state aid is recovered in order to remove the distortion of competition created by the aid. There are no penalties under the EU state aid rules (except accrual of interest). Therefore, the EC simply restores a level playing field for other companies, whose legitimate interests have been affected. It is also important to note that in the Atzeni and Others Case, the European Court of Justice (ECJ) ruled that illegal state aid needs to be recovered even if it leads to subsequent bankruptcy of the beneficiary. In the Deggendorf case, the ECJ held that a beneficiary, which refuses to return the illegally granted state aid, may not receive new aid until it returns it in full, including interest. In summer 2016 the EC decided that public support measures granted by Spain to 7 professional football clubs (Real Madrid CF, FC Barcelona, Athletic Club Bilbao, Club Atlético Osasuna, Valencia CF, Hercules CF, Elche CF) gave those clubs an unfair advantage over other clubs in breach of EU State aid rules. The EC demanded that Spanish professional football clubs pay back all incompatible aid with interest. In a landmark Apple case, following an in-depth state aid investigation, the EC concluded that over the course of 10 years Ireland granted illegal tax benefits of up to EUR 13 billion to Apple. It is illegal under EU state aid rules because it allowed Apple to pay substantially less tax than other businesses. According to the EC, Ireland gave Apple preferential tax treatment that is illegal under the EU State aid rules (Article 107 of the Treaty on Functioning of the EU). In particular, Apple paid CPT in the amount lower than 1% while the average rate for other companies was about 12.5%. Thus, the EC now requires Ireland to recover the illegally granted state aid in the record-high amount of EUR 13 billion as well as interest. As we can see from the above examples, in 2016 the WTO and the EU were active in terms of subsidies and state aid revocation. Therefore, the legality of state aid measures granted by WTO/EU member states to private or public undertakings have become an increasingly important issue today. What are Ukraine’s Undertakings under the Association Agreement? — bring all existing state aid schemes into compliance with EU standards. Finally, the Agreement establishes that when assessing the eligibility of state aid measures and its compliance with state aid rules, Ukraine is granted the status of a country with difficult social and economic conditions, which provides some benefits in assessing the legitimacy of the measures in question. How will the Ukrainian State Aid Control System Function? As from 2 August 2017 the Law of Ukraine On State Aid to Undertakings (State Aid Law) will come into effect and, consequently, Ukraine will launch its brand new state aid control system. The State Aid Law introduces significant restrictions on the extent to which public funding can be used. In particular, Article 2 of the Law provides that the state aid granted in any form through state or local resources, which distorts or threatens to distort competition by favouring certain undertakings is incompatible with the Law and prohibited per se. As we can see, the definition of state aid is very broad and includes inter alia direct government subsidies, tax exemptions, state guarantees, debt/penalty write-offs and other assistance measures. In 2015 the Antimonopoly Committee of Ukraine (AMCU) was designated as a competent supervisory body in the field of state aid with powers to authorize state aid schemes and individual aid. Within the framework of the AMCU, 5 working groups on development of required legislative framework were created with participation of leading global and domestic experts (including, the authors of this Article). The state aid system will control only undertakings (business entities or individual entrepreneurs) and does not cover physical persons. The system implies that within one year from the date that the Law comes into force (i.e. by 2 August 2018), all existing state aid shall be notified to the competent authority. The AMCU will review the submissions and will issue recommendations, if needed. In accordance with the State Aid Law, all unlawful aid can be subject to recovery from the recipients. If the current state aid measures do not comply with the legislative requirements, they either need to be brought into compliance (deadline — 2 August 2022) or recovered from the beneficiaries. From 2 August 2017 all new state aid measures must be preliminarily approved by the AMCU before they are actually implemented. The AMCU has 2 months to scrutinize a notification on new state aid and is authorized to take one of the following decisions: 1) the measure is not state aid; 2) the measure is compatible with state aid regulations; 3) if there are suspicions that it may be incompatible with the state aid regulations, start in-depth investigation proceedings. The AMCU is also authorised to send information requests to state aid providers, beneficiaries and other parties, which may have the necessary data. When applying to state aid providers for the aid, companies must make sure that they comply with the Law and funding levels are tailored to regulatory requirements. Otherwise, the businesses may face recovery claims as Article 14 of the State Aid Law requires that incompatible state aid is recovered in order to remove the distortion of competition created by the illegal aid. Similarly to the EU rules, the State Aid Law requires that the whole amount of illegal aid needs to be recovered, including interest. If the affected undertaking does not return the illegal aid, the AMCU may file a statement of claim to the Circuit Administrative Court of Kyiv city on recovery thereof. The Law also establishes that the limitation period in recovery proceedings is 10 years, which is one of the longest in Ukrainian legislation. Therefore, the beneficiaries of state aid need to act proactively by granting all possible assistance to state aid providers in drafting notifications on existing as well as new aid. Otherwise, the recovery claims by the AMCU may ultimately affect the state aid beneficiaries as they could be forced to return the illegal aid with interest. The new Ukrainian state aid rules may significantly affect energy, aircraft and shipbuilding companies, as these sectors are heavily subsidized and are among the biggest beneficiaries of fiscal benefits. Therefore, such industries need to prepare preliminary defence strategies against potential allegations from the AMCU of unlawful state aid in recovery procedures. In order to effectively counter possible recovery claims, both beneficiaries and providers of state aid need to cooperate closely. 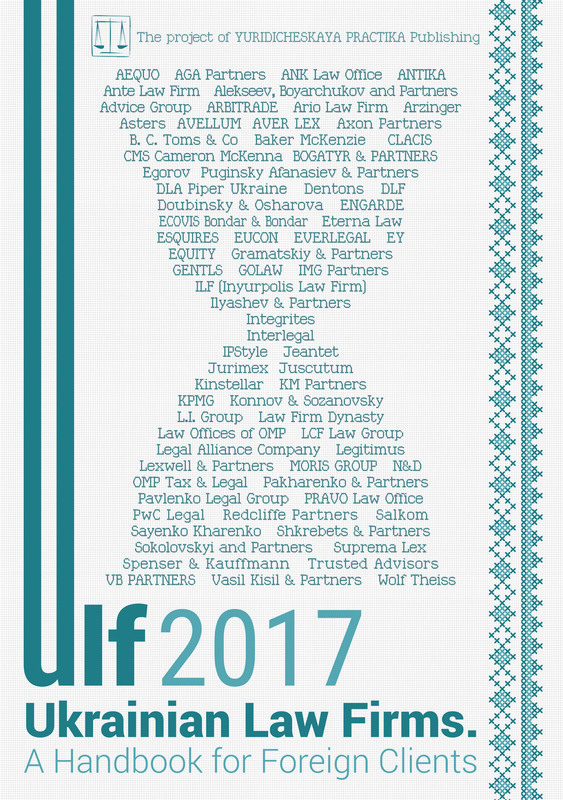 Given that state aid matters are complex and require comprehensive expertise, 2017 will most probably provide Ukrainian lawyers with new tasks.